LL Cool J, is an American rapper and actor. LL Cool J stands for "Ladies Love Cool James." He is known for romantic ballads such as "I Need Love", "Around the Way Girl" and "Hey Lover" as well as pioneering hip-hop such as "I Can't Live Without My Radio", "I'm Bad", "The Boomin' System", and "Mama Said Knock You Out". He has also appeared in several films. 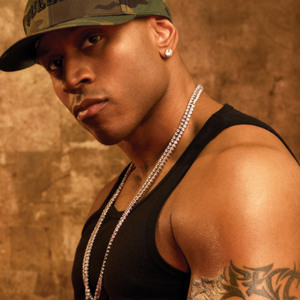 LL Cool J is one of a few hip-hop stars of his era to sustain a successful recording career for more than two decades, with more recent singles like "4, 3, 2, 1", "Headsprung" and "Luv U Better". He has released twelve studio albums and a greatest hits compilation so far, with his latest album being 2008's Exit 13, the last for LL's record deal with Def Jam Recordings. He now resides in Manhasset, New York with his wife and four children.